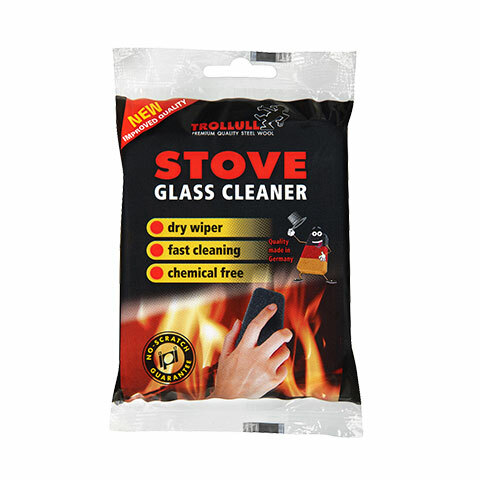 First dry cleaning pad for all stove glass. Handy cleaning sponge with a working side of a double layer of extra-fine steel wool. Cleans fast and scratch-free without the use of any extra cleaning agent.